We’ve all heard about the benefits of Himalayan Pink Salt; so today we thought we’d highlight one of those benefits – rejuvenating, detoxing, and relaxing your skin and body. Did you know that benefits of a salt bath include deeply cleansing of your skin, and drawing out toxins?. 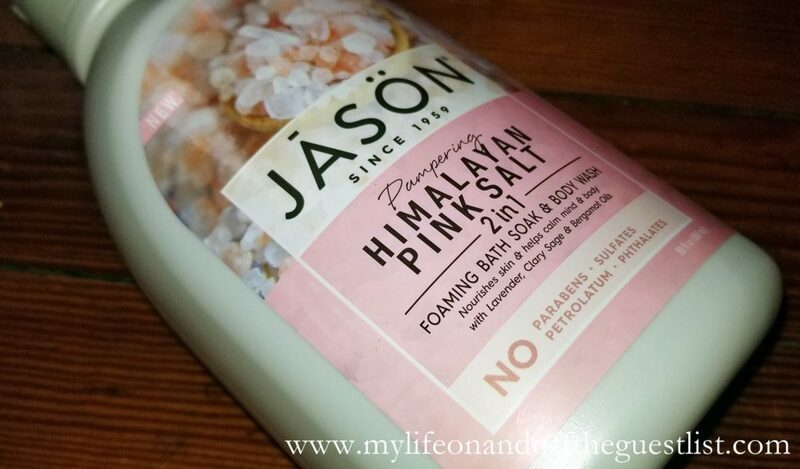 It’s just the experience we’re looking forward to having with the NEW JASON Himalayan Pink Salt 2-in-1 Foaming Bath Soak & Body Wash.
With awareness of its health and wellness benefits, Himalayan Pink Salt has made its way across a variety of categories. These include specialty foods, spa treatments, and even home design. 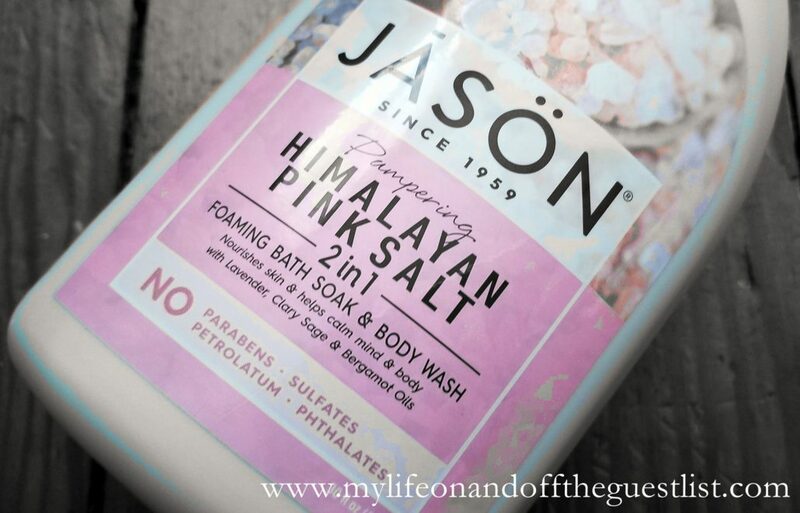 This is what let JASON Personal Care to introduce the NEW Himalayan Pink Salt 2-in-1 Foaming Bath Soak & Body Wash. This de-stressor is a must for those long, hard days. We all know how important self-care is and sometimes it can be difficult to take time out for it. So why not indulge your skin with your daily shower with the nourishing JASON Himalayan Pink Salt 2-in-1 Foaming Bath Soak & Body Wash. Don’t you deserve a little skin and body pampering during this harsh winter? Plus it will invigorate your senses with its uplifting scent. Using the power of nature’s ingredients to improve everyday wellness, the formula features the body-healing Himalayan Pink Salt. Rich in soothing Magnesium, hydrating Potassium, and pH-balanced Calcium, it promotes relaxation and eases your tensions away. Joining this wonder ingredient is skin-loving essentials such as lavender, clary sage, and bergamot to soothe away your day’s stresses. This 2-in-1 can be used for an indulgent foaming bath or rejuvenating shower cleanse. It’s conveniently formulated to be multifunctional so you can choose how and when you enjoy its pampering benefits. The JASON Himalayan Pink Salt 2-in-1 Foaming Bath Soak & Body Wash is free of synthetic fragrances and boasts a biodegradable formula. It contains no parabens, no sulfates, no petroleum, and no phthalates. The 30 oz. 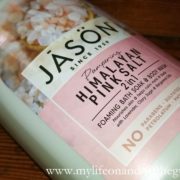 bottle of JASON Himalayan Pink Salt 2-in-1 Foaming Bath Soak & Body Wash is available now for $13.81 at Whole Foods, WalMart, and online at www.jason-personalcare.com.